Wishing You a Glamorous Christmas! Me and this lovely lady would like to wish you a Merry Christmas! And if you like this image make sure you are viewing it on the blog so you can see wordpress’ version of a white Christmas over the picture [http://wp.me/pwhUf-gi]. A lot of times we are busy helping others, working long hours and taking care of our families. We text each other happy birthday messages, and email holiday greetings. It seems as though we don’t have much time for anyone or anything. I want to make you look and feel like a new woman. Make time for yourself. 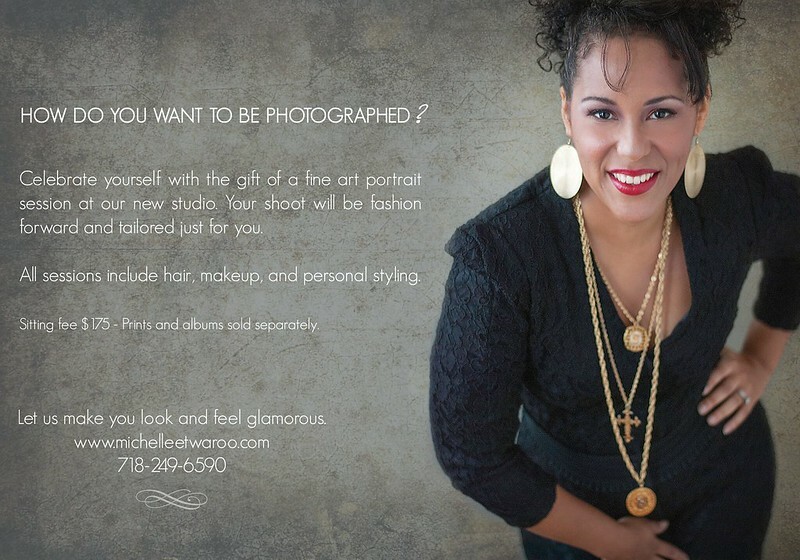 Come to my studio to have a glamorous makeover and photo-shoot. The shoot will be artistically directed just for you and include hair, makeup and styling. It will produce timeless images that you will want to display in your home and for the world to see. And, if you bring a friend or family member along to share the experience, you will receive special pricing on the sitting fees. Email hello(at)michelleetwaroo.com and tell me HOW you would like to be photographed and I promise, you will be enamored with the results.